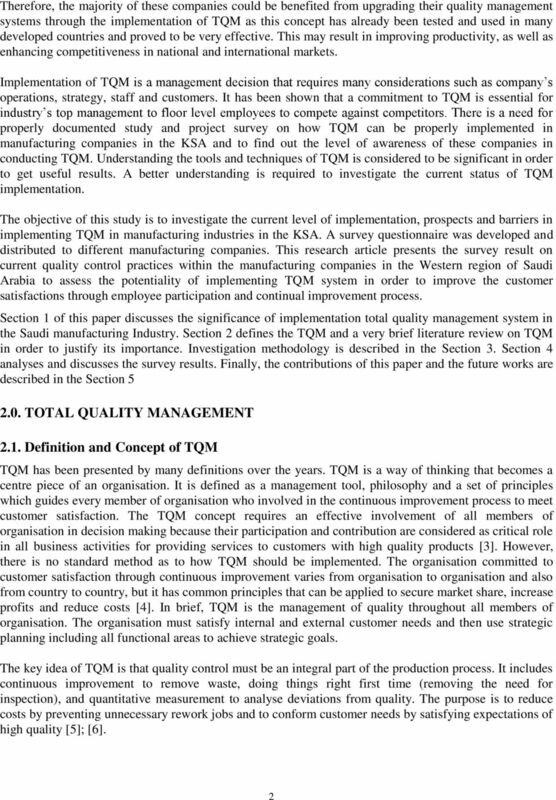 Download "Implementation of TQM in Manufacturing Industries in the Kingdom of Saudi Arabia"
Financial Services Sector: Missing Customer Expectations? All available Global Online MBA routes have a set of core modules required to be completed in order to achieve an MBA. 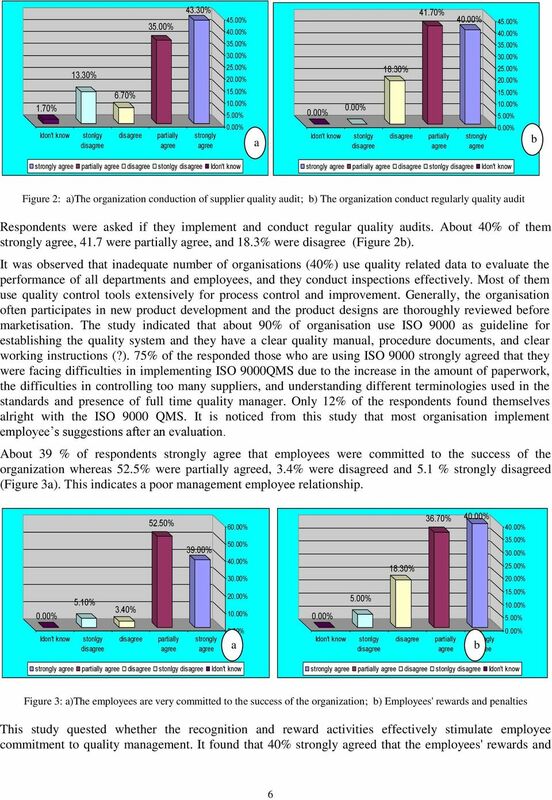 Implementation of Quality Management Systems Under MIF s ISO Cluster: Does it make a Difference? 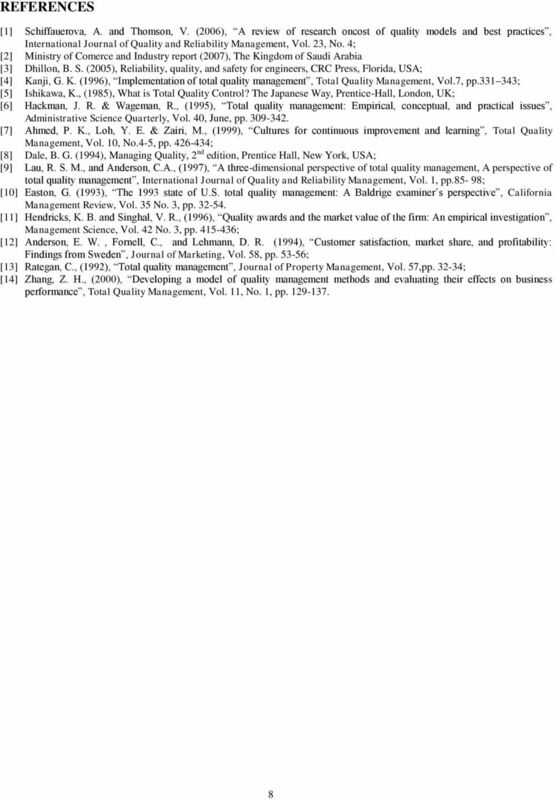 ISO 9000: A Stepping Stone to Total Quality Management for Construction Companies?